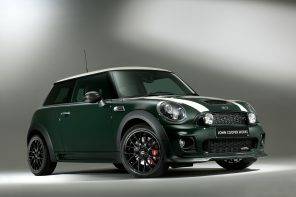 Today marks the release of official information regarding the factory JCW Coupe and Clubman MINIs. 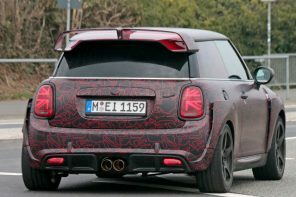 While MF readers have had the details about these cars for quite some time, the information and photos below is the first official word from MINI about this new factory JCW car. Here are some of the highlights of the full release (which is also available below). Upgraded/Optimized Turbo Pistons and four piston brakes (adapted from the MINI Challenge race car. You can see hi-res versions here. 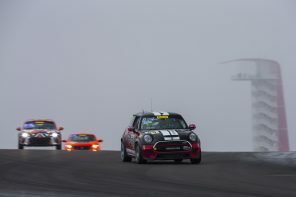 A big name, a long tradition, outstanding performance, figures and an incomparable driving experience: the MINI John Cooper Works arouses motor racing passion which goes beyond the race track. 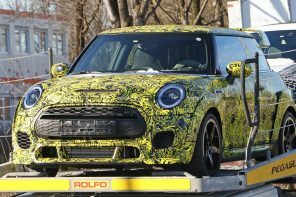 In August 2008 the new model Ã¢â‚¬â€œ produced at the British MINI plant in Oxford Ã¢â‚¬â€œ will be coming to Germany along with the MINI John Cooper Works Clubman. 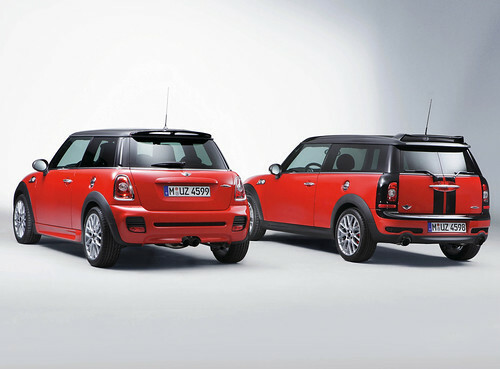 With their world premiere at the International Automobile Salon in Geneva (March 6thÃ¢â‚¬â€œ16th 2008), these versions are the first two models to be launched by MINI under the brand MINI John Cooper Works. The heart beating under the bonnet of each of the two new extreme sports cars is that of a racer. The 1.6 litre 4-cylinder engine with Twin Scroll turbocharger and petrol direct injection delivers 155 kW/211 bhp (207 hp US) and develops its maximum torque of 260 Newton-metres (192 lb-ft US) between 1,850 and 5,600 rpm Ã¢â‚¬â€œ by means of overboost the torque can actually be increased to 280 Nm. (207 lb-ft US). 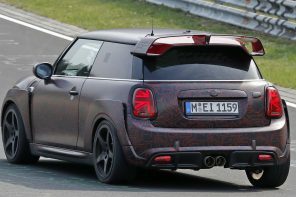 The power unit is based on the engine of the John Cooper Works CHALLENGE, which will see its premiere at the MINI CHALLENGE 2008. 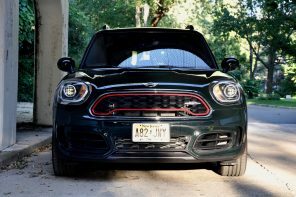 It accelerates the MINI John Cooper Works in 6.5 seconds from 0Ã¢â‚¬â€œ100 km/h, the MINI John Cooper Works Clubman manages the spurt in just 0.3 seconds more. 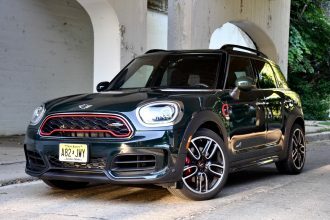 The MINI John Cooper Works and MINI John Cooper Works Clubman are driven by a true power package based on the current engine of the MINI Cooper S, extensively revised for the MINI John Cooper Works CHALLENGE racing vehicle and now back on the road with refreshed power. Even the basic design of the 1,598 cc 4-cylinder engine has details which are drawn from motor racing. The cylinder block and bearing housing are made of aluminum, the four valves per cylinder are controlled by two upper camshafts, friction-optimised cam followers and hydraulic valve clearance compensation elements. The outlet valves are filled with sodium so as to meet the increased cooling needs of a turbo engine. The camshafts of the 4-cylinder are composite. Instead of using the conventional die-cast procedure, the cam rings are made of high-strength steel and shrink-fitted to the actual shaft. The intake camshaft has a continuously variable phase adjustment function by means of which the valve control times can be adapted to the relevant performance requirements. 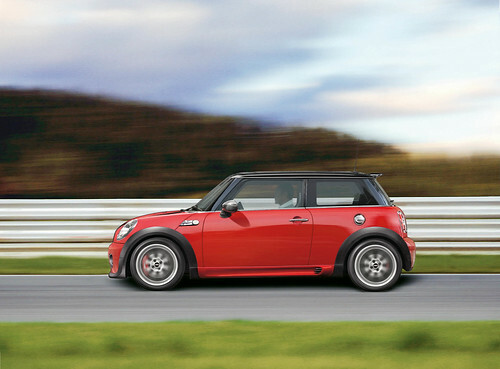 More air, more power, more torque Ã¢â‚¬â€œ the formula for increased driving pleasure. 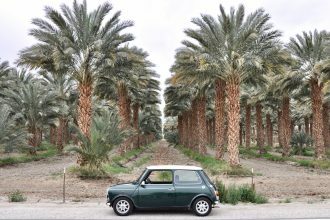 The power increase as compared to the engine of the MINI Cooper S is mainly achieved by means of optimised air intake and outlet due to an adapted turbocharger. The air filter, air mass sensor, exhaust system and catalytic converter have been modified so as to achieve a power-enhancing dethrottling on the induction and exhaust side. This is also reflected in an engine sound which is peculiar to this model. Due to the adaptation of the exhaust system, a significant reduction of counterpressure is achieved. 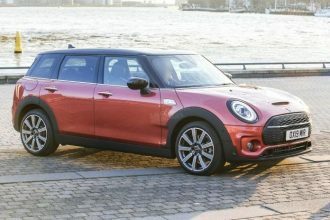 The MINI John Cooper Works and MINI John Cooper Works Clubman fulfil the requirements for adherence to the particularly stringent threshold levels defined by the exhaust norms EU5 in Europe and ULEV II in the US. 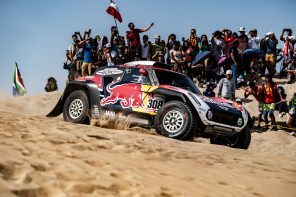 The maximum torque of 260 Nm (192 lb-ft US) is available even at an engine speed of 1,850 rpm and up to a level of 5,600 rpm. 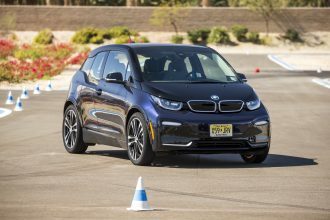 During acceleration, torque is raised to 280 Nm (207 lb-ft US) by means of a brief increase in boost pressure between 2,000 and 5,300 rpm. 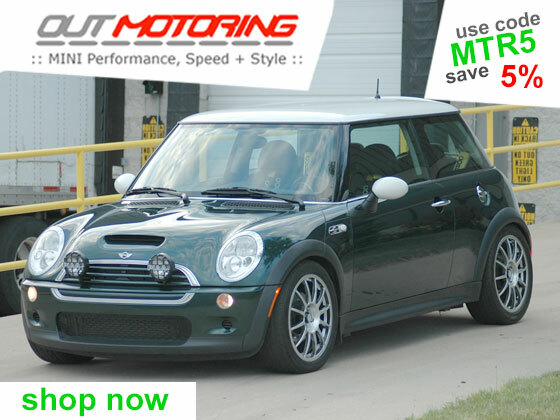 This overboost function gives the MINI John Cooper Works and the MINI John Cooper Works Clubman an even more powerful response. The engine reaches its maximum output of 155 kW/211 bhp (207 hp US) at 6,000 rpm. 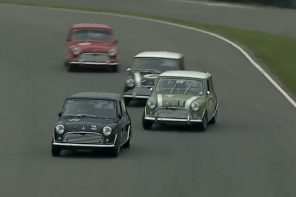 The spontaneous response is also reflected in the car’s acceleration figures. 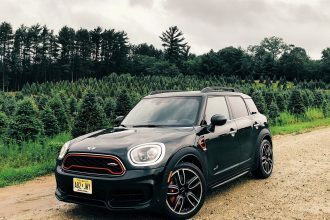 The MINI John Cooper Works takes 6.5 seconds to accelerate from 0Ã¢â‚¬â€œ100 km/h, the time required by the MINI John Cooper Works Clubman is 6.8 seconds. Both have a maximum speed of 238 km/h. 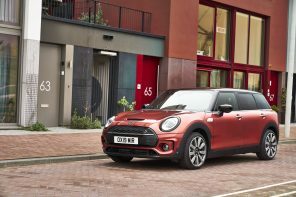 With a specific output of 132 bhp per litre of capacity, the MINI John Cooper Works and MINI John Cooper Works Clubman advance into the realm of the purebred sports car. 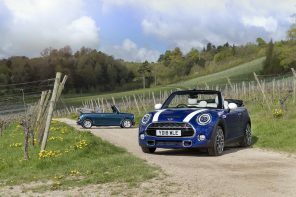 What is more, both new models have the characteristic MINI quality of offering unique driving fun in combination with exemplary efficiency. The key function here is the fuel supply system. The turbo 4-cylinder is fitted with petrol direction injection according to the common rail principle. Injection valves positioned laterally in the cylinder head feed the fuel in precise doses under a pressure of 120 bar from the tank directly into the combustion chamber. This means that in every situation on the road, precise fuel supply is guaranteed which is adapted to the given load requirements. The average fuel consumption in the EU test cycle is at an unusually low level for vehicles of this output category. The MINI John Cooper Works makes do with 6.9 litres per 100 kilometres, the MINI John Cooper Works Clubman requires 7.0 litres. The respective CO2 figures are 165 and 167 grams per kilometre. 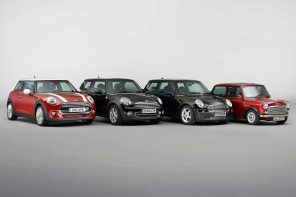 The standard range of features of the MINI John Cooper Works and the MINI John Cooper Works Clubman not only includes a particularly high-performance engine but also a wide range of other components which ensure that this irrepressible power is put safely onto the road. As is characteristic of MINI, the engine powers the front wheels. 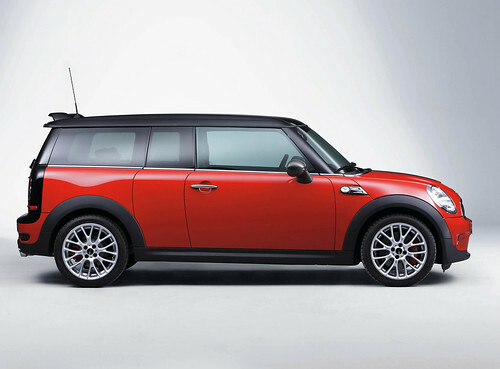 The MINI John Cooper Works and MINI John Cooper Works Clubman are fitted with a 6-speed manual transmission whose components have been adapted to the very high level of torque of this new top-level engine. 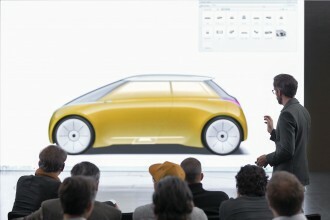 In addition to the sophisticated chassis technology with McPherson struts at the front axle and the central control arm rear axle, which is itself unique in the small car segment, the electromechanical EPAS (Electrical Power Assisted Steering) is a further guarantee of reliable and precise handling. 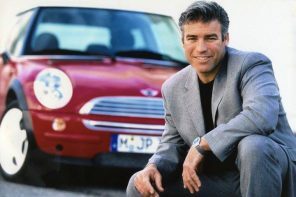 The electrical servomotor also contributes to efficiency in that it is only activated when steering support is required or desired by the driver. The standard sports brake system guarantees short braking distances and is characterised by precise response and fine controllability. 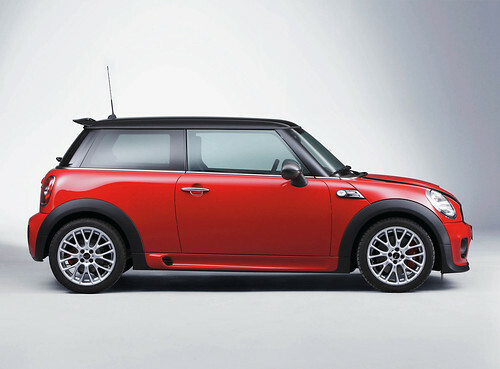 The fixed caliper disc brakes with aluminium callipers finished in red Ã¢â‚¬â€œ inner vented on the front wheels and bearing the John Cooper Works emblem on the callipers Ã¢â‚¬â€œ are large in their dimensions. 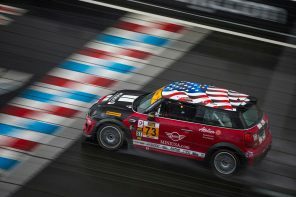 The type and function of the brake system is based on those in the MINI CHALLENGE racing vehicle. The same applies to the exclusive 17-inch light alloy wheels in John Cooper Works Cross Spoke CHALLENGE design. 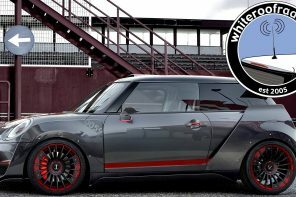 Weighing less than 10 kilos, they are the lightest standard wheels within the competitive environment of the MINI John Cooper Works and MINI John Cooper Works Clubman. The high-speed tyres in 205/45 W 17 format have runflat properties, and both models are equipped with a tyre damage display function. 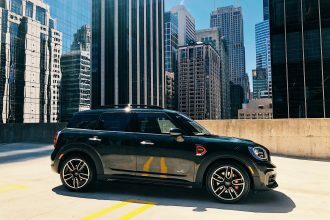 In addition to sporty suspension settings and powerful brakes, the MINI John Cooper Works and MINI John Cooper Works Clubman also have sophisticated driving stability systems. 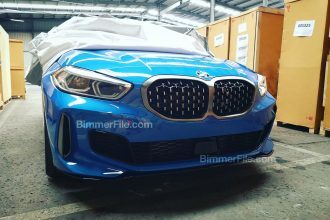 Their standard equipment includes ABS, EBD (Electronic Brakeforce Distribution), CBC (Cornering Brake Control) and DSC (Dynamic Stability Control) including hill-start assistance and DTC (Dynamic Traction Control). 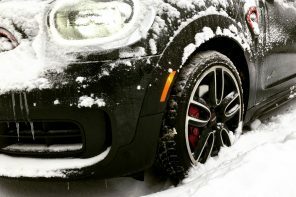 By applying the brakes to individual wheels and reducing engine power, DSC applies a stabilising effect when required, intervening early on to prevent the vehicle from swerving at the front or rear wheels in especially dynamic driving situations or on slippery surfaces. The brake assistance function, likewise an element of DSC, detects emergency braking situations and ensures instant build-up of maximum brake pressure should the need arise. What is more, in DSC-Off mode an electronically controlled lock function for the differential of the drive axle is activated. 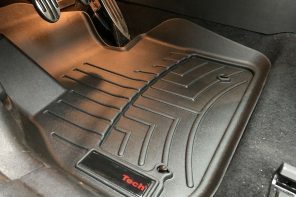 This system is also a standard feature and known as Electronic Differential Lock Control: it supports an ambitious, sporty driving style when accelerating out of bends and hairpins, for example. The electronically controlled lock function has the effect of applying specific, appropriate brake force to a spinning drive wheel on tight bends. This enhances the forward propulsion of the vehicle without having a negative impact on self-steering response. The bend can thus be taken more smoothly but also more swiftly. 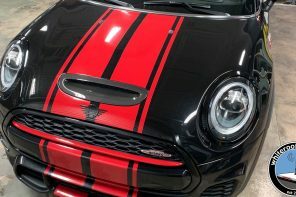 Ten exterior paint finishes are available to choose from for the MINI John Cooper Works and the MINI John Cooper Works Clubman. Contrasting roof finishes and roof decor options provide a wide range of possible combinations. The basic fittings of the interior include seat covers in the fabric Chequered. 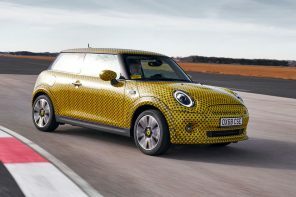 Optional extras include leather upholsteries, sports seats with fabric/leather covers, sports leather seats and Recaro sports seats (not available in the US) from the John Cooper Works accessory program. The decor strips of the interior can be selected in Fluid Silver as an alternative to Piano Black. The accessory program also includes an interior strip in Carbon. 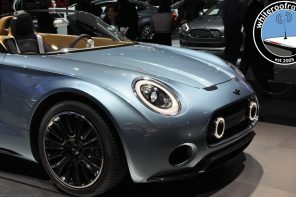 The high-quality entertainment and navigation systems of the MINI equipment range are also available for the two top-of-the-range sports cars. The controls of the audio system Ã¢â‚¬â€œ with CD player as standard Ã¢â‚¬â€œ and the 6 Ã‚Â½ inch TFT colour display of the optional navigation system are situated in the central circular instrument. The standard AUX socket enables music saved on an MP3 player to be played through the audio system, for example. A special interface for full integration of an Apple iPod is also available as an accessory. For optimum and safe communication on the road there is an optional mobile phone preparation or integrated hands-free facility with Bluetooth interface and USB connection. An interface for integrated operation of the audio and telephone functions is also specially available for the Apple iPhone. The highlights of the John Cooper Works accessory program include the aerodynamics package and sports chassis with springs finished in red for the MINI John Cooper Works, as well as perforated brake discs and rear spoilers for both model versions. Other items include a suspension cross-brace for the engine compartment, mirror caps in carbon finish and so-called side scuttles Ã¢â‚¬â€œ direction indicator surrounds with a sporty grid structure. To match this there are also decor strips, handbrake handles and sports gearshift levers in carbon decor which provide an even sportier ambience. 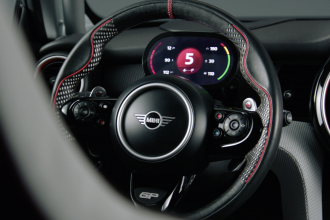 The gear shift indicator in the John Cooper Works accessory program also contributes to an intensive driving experience. 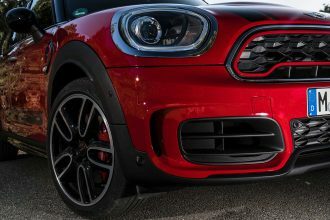 With the John Cooper Works Performance components, the character of the two new models is given even greater emphasis and visually highlighted, too. 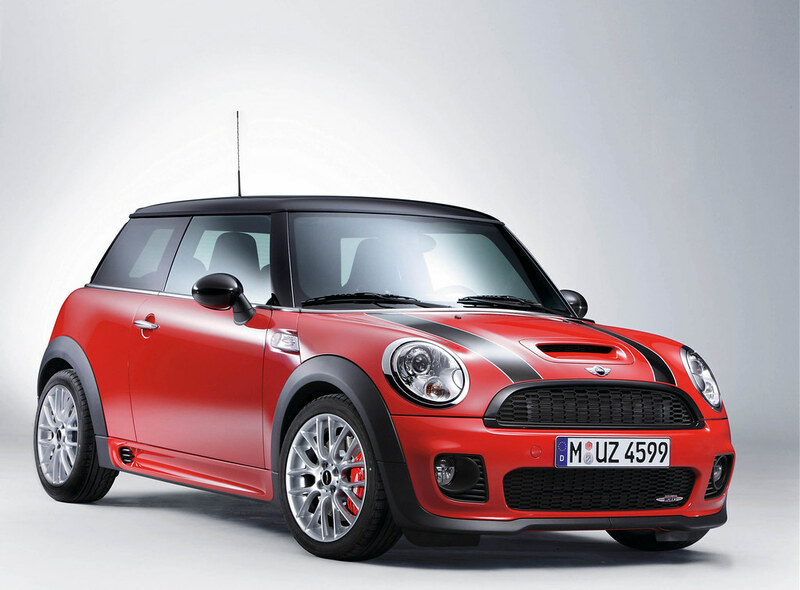 Premium-quality sporty flair characterises them as it does the two new models themselves, both of which bear the John Cooper Works logo. 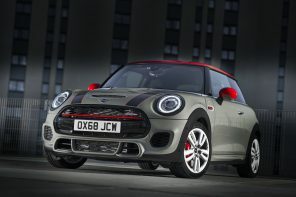 The MINI John Cooper Works and MINI John Cooper Works Clubman have to be able to meet both the extreme challenges of the race track as well as the extensive requirements of everyday traffic in terms of functionality, design, reliability and durability. Together, the brands MINI and John Cooper Works stand for a promise of quality which is uniquely powerful within the competitive environment of MINI. 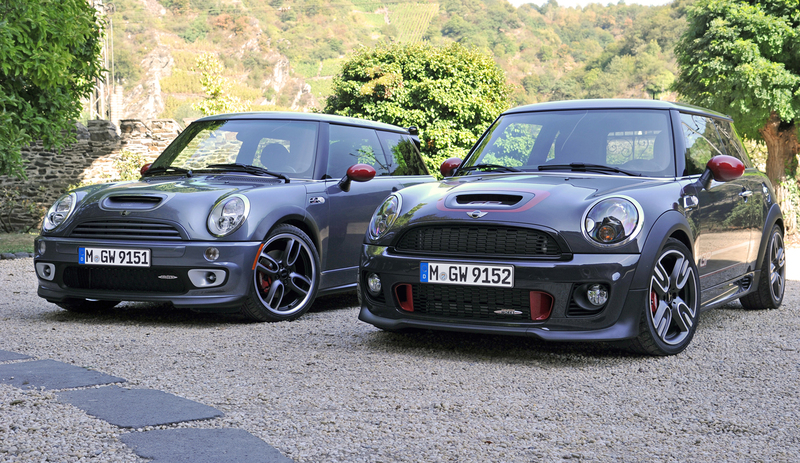 The two top sports cars are sold through the MINI dealer network. 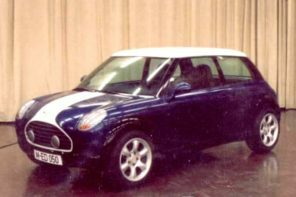 Like all variations of the MINI and MINI Clubman, both models are manufactured at the MINI plant in Oxford according to customer wishes. 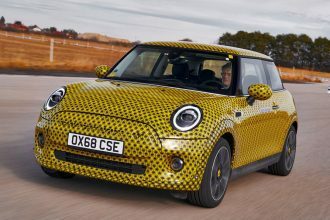 In this way, the integration of the John Cooper Works label under the umbrella MINI is now also reflected in the range of vehicles available ex works. 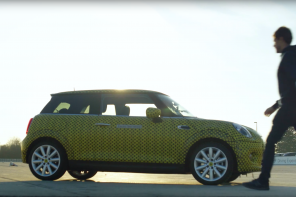 We’ve also got a few new videos of MINI’s factory JCW, including an exclusive look at the interior. 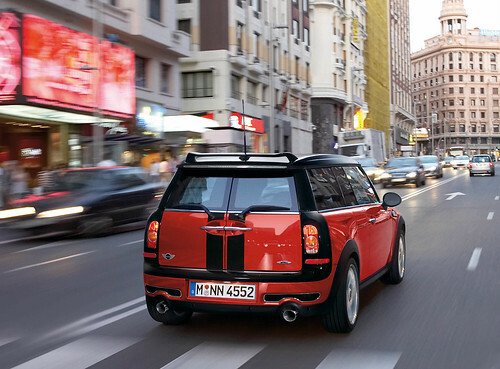 However don’t forget that not everything seen on the cars comes standard as part of the JCW model.